Spam levels have gone up and down in the last couple of days.Why? We all know what spam is. Or more specifically, what spam is for. Spam messages are basically worthless messages that you don’t want anything to do with. 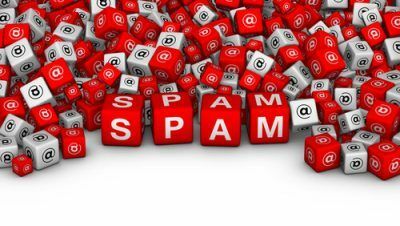 It may come as a surprise to some but global spam levels have shot back up to a higher level than before. The methods of spreading these spam messages have changed however. Some might say that should be expected since technology is advancing at such a rapid space. And we’ll agree with that notion. No One Wants To Read Questions. In other words, everybody wants to know instant answers to the questions that are bothering them. And perhaps that is why some headline experts warn to not write headlines that start with questions. The reason is surprisingly simple. If the writer knows the answer to the headline question then why not give it straightaway. On the other hand, if the writer does not have the answer to the headline question then why write the article in the first place. Without a comprehensive answer, readers would simply waste their time reading the article. Worse, they won’t have the solution to their problem. Consequently, they would have to figure out the solution to their problem on their own. Which means that the article was useless to the readers in the first place. Not a great marketing strategy or it? Will spam destroy the internet? Probably not. But it will downgrade the experience. Truth be told, sometimes there is just no other way. A writer has to use headline questions in order to address some pressing matters at hand. The case in point is global levels of spam. 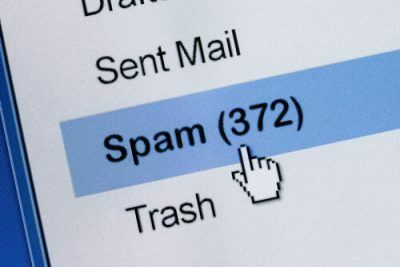 Some time ago, many sources in the media reported that global spam levels had dropped by half. And that was supposed to be a good thing right? But few could answer the question “now what”? We have half the spam we had before. Why even bother to check spam levels when all online messaging applications come with strong spam filters? You already know what some time ago spam levels dropped. Who cares if spam levels go down or not? No matter how low the level of spam messages get, it will never hit zero. Global spam rates went down. Then were back up again. What’s going on? In other words, online software applications will always have to take care of spam with more advanced solutions. So, should it really matter if spam levels are, say, at 100 instead of 10? 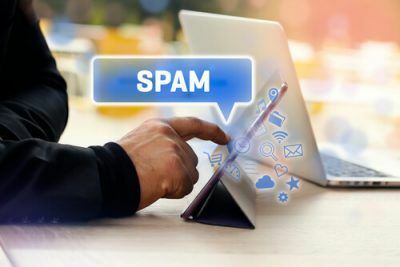 If there are going to be spam filters in all of our communication applications then they might as well be put to work rather than just be there for the sake of it. Of course, that’s not the main problem. The main problem lies somewhere else. To understand that, let’s recap a bit. Last month, many media reports ran the story that global spam levels had dropped. The reason as it turns out was different to what you might expect. To put it another way, there was no superman who searched the depths of the deep dark web and then killed half the spam messages living in the cyber world. The reason for the sharp drop in spam levels was a botnet. More like, a botnet that went to sleep. That, and not superman, was the reasons why global spam volumes fell in such a dramatic fashion. Spam Levels Were Cut In Half. So What’s The Story Then? If global spam levels were indeed cut in half so what is there to talk about. Less spam means less trouble right? There should be no question about the fact that less spam is a great thing. Why ask the question of “what’s next” then? As hinted before, it is not that spam levels have dropped. It is the reason behind the drop-off in spam levels. Mainly that the drop in spam levels had nothing to do with cybersecurity agencies. Of course, we’re not pointing fingers at any one organization. Cybersecurity industry, as a whole community, is having trouble keeping up with hackers and especially spammers. In other words, it doesn’t matter if spam levels are down or there are no DDoS attacks. Hackers dictate what happens next. In most cases that is. It almost seems like all cyber security industry professionals can do is react. And if you have ever read anything by Stephen R Covey you would know that being proactive is always better than being reactive. More specifically, though, spammers currently decide if the spam levels go up or down. All they have to do is code something into the botnet and unleash it into the wild. There is little that cyber security professionals can do right now to diminish the massive size of the botnet phenomenon. Cyber security firms need to do more. Let’s not pretend that there is nothing alarming about spammers increasing and decreasing global spam levels. To put it another way, does anybody know that why the botnet in question (named Necurs) went to sleep? How long was it in its “sleep” mode? In fact, nobody even knows how long the botnet will continue this cycle of sleep mode and active mode. Will the Botnet come back stronger than ever? What if it goes beyond its former spam volume? All of these questions remain, more or less, unanswered as of now. What Do We Know Then? For example, cybersecurity professionals know that Necurs botnet is just sleeping. That is, it is not dead by any means. Moreover, they also know that the botnet is much quieter not than it was ever before. If you don’t know what that means then continue to read on. A botnet going to sleep might be great news for spam levels. But not so much for the computer machines that make up the botnet. Your computer machine might be a part of the botnet. What we do know is that even if the botnet is in sleep mode, it doesn’t mean your computer is infected. In fact, it is still infected if it was a part of the botnet before. Your machine might also be simply waiting for instructions from the botnet. At any time in the future, the botnet could just jump back into action and send instructions to your computer. Your machine will then receive the commands from the awakened botnet. And will then start to send spam messages to the world of the internet. What Does The Future Hold For Machine Who Were Part Of The Botnet? But most cybersecurity officials will tell you that if your computer was infected before the spam levels plummeted then your computer will still be infected. It doesn’t matter if the Botnet went to sleep or not. In other words, the hackers and cybercriminals behind the botnet can simply come back and use your machine for more spam any time in the future as well. The more savvy of our readers must have noticed something alarming in the previous sentence. It is the hackers themselves who are lowering and then increasing global spam levels. In other words, the rate at which spam is sent out to users all over the world is determined by hackers. Not by filters that you commonly see in email services such as Gmail and Yandex. That should be a terrifying piece of news to anyone who is concerned about his/her online privacy and security. Why Are Hackers And Other Cybercriminals Taking Breaks? No one really knows why hackers are taking regular breaks from spamming people on scale. All we know, so far, is that hackers do tend to take breaks. During this break time, they don’t completely stop spam messages but they do decrease its rate. The reason for taking a spam break is also unclear. But it doesn’t take a genius to figure out why hackers and other cybercriminals would want to take breaks. Namely, that taking regular breaks helps cyber criminals to stay under the radar. All the while they are underground, there is a good chance that law enforcement agencies would have moved onto something else more pressing. And of course, hackers and other cybercriminals are also humans. In other words, they also need some down time. And they take this downtime in the form of vacations as humans normally do. We’re not completely ruling out the fact that there might be a rival hacker group which might have hurt the operations of another rival hacker group. At this point in time, all of that is mere speculation through. Therefore, the answer to the question “what’s next” depends on what we, as a community, want to do. There are a lot of ways in which we can move forward from this situation. Some might say that it is best to check your computer for potential viruses. While you’re doing that it is also a good idea to check if your computer is infected and hence zombified. Because your machine may not be part of the botnet now (because the botnet maybe sleep) but your machine can be used to carry out botnet attacks later in the future. 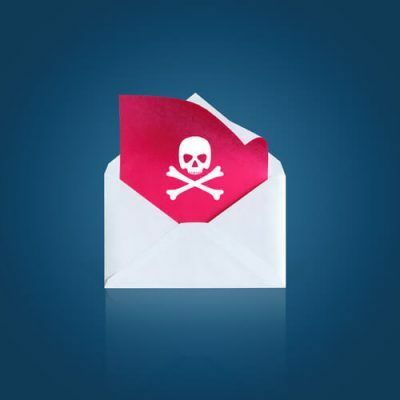 What Does The Future Hold For Internet Spam? First of all, we need to alter the question a little bit. The future is not like, in reality, in the “future”. The future is here and right now. If we’re specifically talking about the past couple of days then we can say with confidence that spam levels have reached half of their former high peaks . You can easily Google graphs related to spam activity in the last couple of years and then compare that with spam levels of the past couple of days. In the cyber security business, there is something we call background spam rate. Let’s not concern ourselves with the definition of background spam rate. What you must know is that in the last couple of days, the hourly spam levels have reached five times that of the background spam rate. All of this also suggests that Necurs botnet is still alive. And even though it is undetected, hackers are bringing the bonnet back into service at full throttle. With that said, it is also true that this time the attack is a bit different. Previous attacks involved malware that was blasted out to thousands of computer machines. But this time, the attack is related to an old technique. This technique is so old that most cyber security firms have discarded it as a possible form of attack. Because, this old kind of attack didn’t do the job well enough in the past. The technique we’re talking about here is called pump and dump technique. What Does The Pump And Dump Technique Do? First, you should know that this technique is different. It’s different because it doesn’t require users to click on malicious links. It doesn’t make use of shady surveys or infected attachments. This technique involved hackers tricking users into buying shares. Hackers can pick a cheap stock and then come up with a fake but believable story behind it to get some attention. The hackers then buy in, but always before the potential victims start receiving the messages in their inboxes. After the initial bulk purchase, the cheap stock will go higher in price a bit. That will give the impression that the hacker’s cheap stock is doing rather well. Consequently, more and more users will buy the cheap stock and hence fall victim to the scam. This will pump more and more money into the stock. Hackers then wait for as long as it is possible since the word about their scheme being scam will start to spread rather quickly. Not to mention that regulators will alert buyer as well. When this is about to happen, the hackers dump the stock for a profit and then leave. The victims get no profit and actually should count themselves lucky if they can even recuperate their initial investment. Of course, the game is much deeper than we have just mentioned. Sometimes, these hackers even have press releases to make their stock look more legitimate. Try not to pay attention to an email that is sent in bulk and is unsolicited. Because there is a good chance over 10 million other users just like you have also received the same deal. Stop any correspondence with the sending email address.